CONTRACTORFIND.co.za™ is proud to showcase only the best, registered and certified Asphalt Contractors in West Rand. Need qualified Asphalt Contractors for the job? CONTRACTORFIND.co.za™ is the place to find them! All the listed Asphalt Contractors below have been screened and certified, ensuring that their service and quality is the best in West Rand. Find the top Asphalt Contractors in West Rand now. Affordable, quality and performance excellence are all things you expect to find at Best Tar Paving Surfaces. 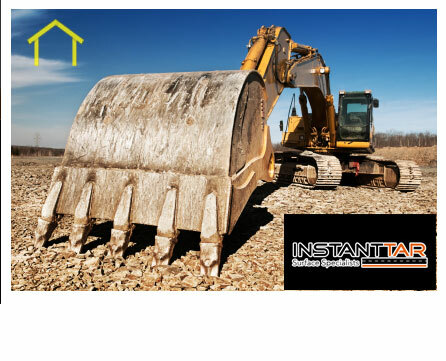 Instant Tar Surfacing aims to provide quality professional services to building contractors, businesses and individuals whether large or small. Our team has over 15 years experience in the industry providing quality work in all surfacing requirements for our customers. We believe value customer services and provide excellent after sales services to give customers peace of mind. Broadway Tar Surfaces specialise in all areas of tarmac surfacing from roads and driveways to forecourts and sports grounds. Call Broadway Tar Surfaces for all your tarmac, block paving, driveways, footpaths and car parks. 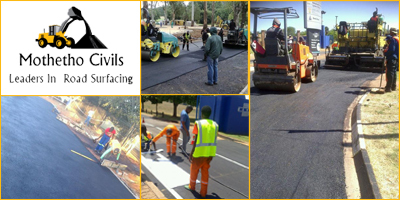 Mothetho Civils are specialists in all aspects of civil engineering, tarmac, road surfacing, earthworks and paving. We have over 30 years experience with a qualified team of contractors. Our extensive knowledge in the surfacing and tarmac industry allows us to offer the very best in SA to both domestic and commercial clients always ensuring quality service and workmanship. Company Name : Tarring Co.